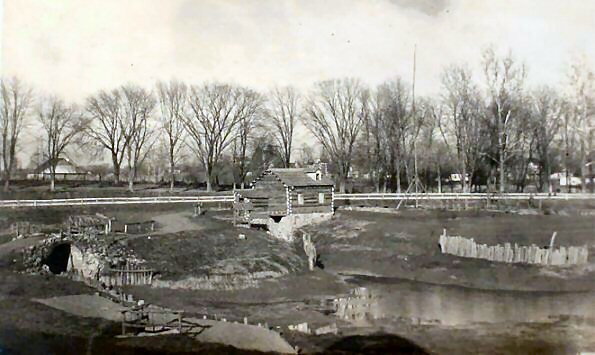 The Mill was on an island in the middle of the race track at the fair grounds. It was reached by an arched stone bridge. 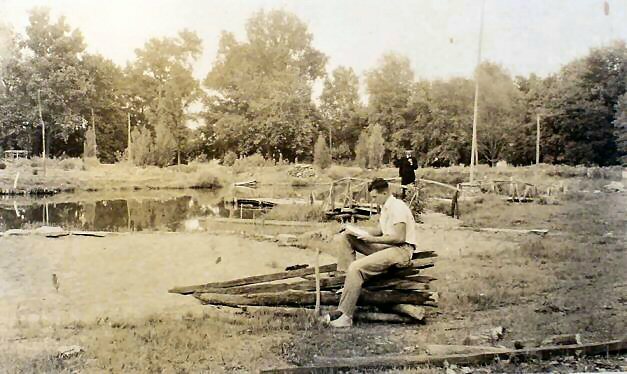 According to one brochure, the lake being built was named Lake Alda. Alda McCoy Honig was the wife of George Honig, the designer of the Lincoln Pioneer Village. She was an accomplished musician and teacher. The lake has been filled in and is now a baseball field. 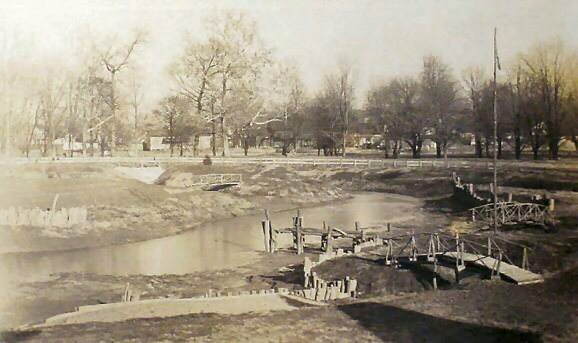 This photo shows the islands and mill under construction. 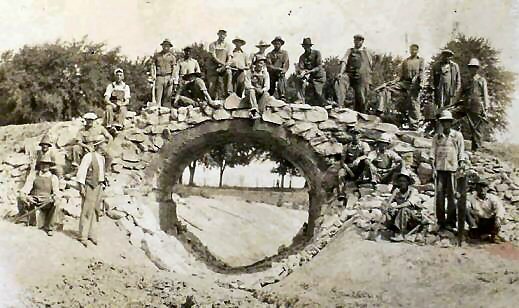 Workers on the arched bridge to the island. The completed mill. 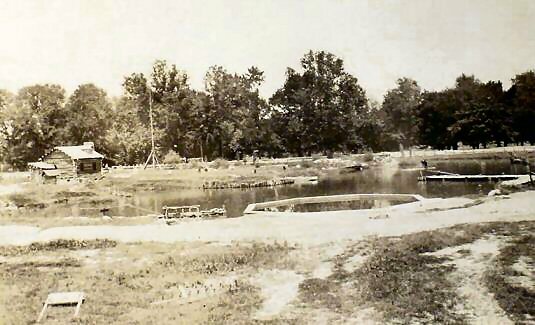 A concrete wading pool was constructed at the edge of the lake. Swimming was allowed in the lake until someone lost his life. This photo represents Abraham Lincoln looking back at his boyhood in Spencer County. It was taken beside the lake. 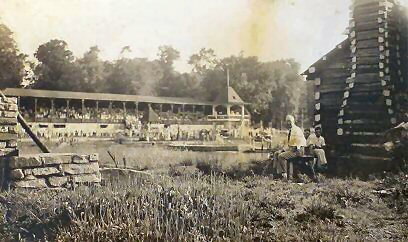 This photo shows the grandstand from the mill on the island.